Brumbies player Robbie Coleman is a long-time Canberran who believes violence against women is never acceptable. 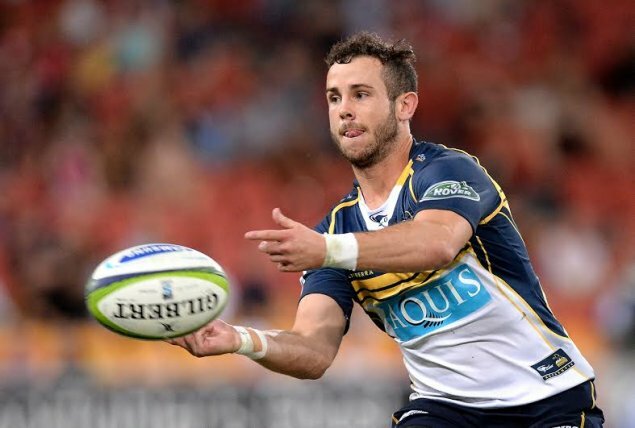 After winning man of the match following the Brumbies recent home game against the Melbourne Rebels, he chose to support Australia’s campaign to stop violence against women, White Ribbon Australia. “There shouldn’t ever be violence against women. It’s a cause that I really believe in. Back when I first started playing for the Brumbies we did some work with White Ribbon and it’s stuck with me since,” he says. With Canberra women Tara Costigan, Sabah Al-Mdwali and Daniela D’Addario murdered in recent months – all three alleged to be the result of domestic violence – Robbie says that the work of White Ribbon is more important than ever. White Ribbon is the world’s largest male-led movement to end men’s violence against women. It is a non-profit organisation and Australia’s only national, male-led primary prevention campaign to end men’s violence against women. Through prevention initiatives and an annual campaign, White Ribbon Australia seeks to change the attitudes and behaviours that lead to and perpetuate men’s violence against women. To find out more about White Ribbon Australia or to make a donation, visit its website. You can also find White Ribbon on Facebook, Twitter and Instagram. This is a new series that will run throughout the Super Rugby season, where we interview the Brumbies man of the match following each home game.